Platelet rich plasma, also known as PRP is a revolutionary new treatment that relieves pain by promoting accelerated healing of musculoskeletal conditions. This technique is rapidly becoming the preferred treatment of professional athletes because it can result in quicker recovery and long lasting relief of pain after musculoskeletal injuries. 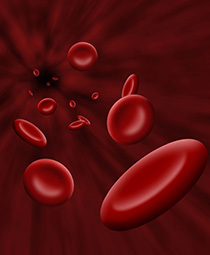 PRP is a process where the doctor extracts some blood, spins it at high velocities to separate the components of the blood and to concentrate the platelets. This platelet concentrate is then injected into the injured area. Platelets contain growth factors that promote healing. After an initial period of inflammation and soreness that lasts a few days, patients start to notice decrease in the pain and improvement of function. The healing may take 4-6 weeks but is long lasting. Because the blood components injected comes from the patient’s own body, side effects and complications are almost non-existing. PRP can be combined with stem cell injections and injections of growth factors to maximize the natural healing process. This technique is proving to be an exciting revolutionary treatment for conditions like osteoarthritis of the knee, shoulder, hip, sacroiliac joint and spine, rotator cuff tears, plantar fasciitis (heel spurs), anterior cruciate ligament (ACL) injuries, tennis elbow, chronic tendonitis, ligament sprains, chronic neck pain, and chronic low back pain.